In a medium saucepan over medium heat, combine pumpkin, salt, and spices. Cook until pumpkin is warmed through, then pour into a bowl and let cool for a few minutes. 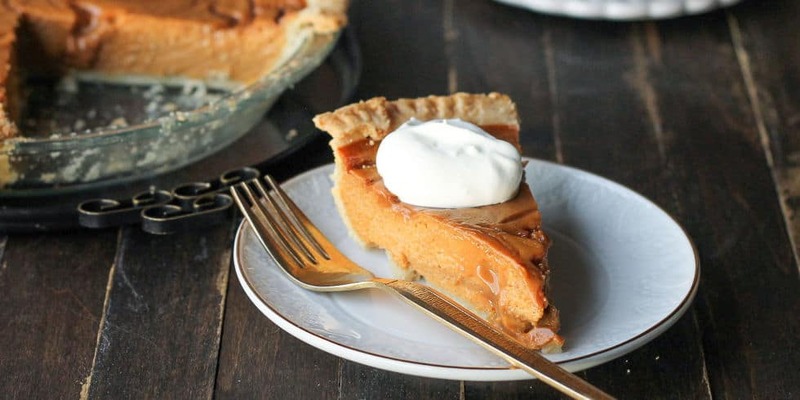 Add sweetened condensed milk and eggs to pumpkin and whisk until smooth. Pour into pie crust. Drizzle Jimmy’s Caramel Dip over pumpkin mixture. Using a knife, swirl caramel into pumpkin. Bake 15 minutes, then reduce oven temperature to 350° and continue baking until knife inserted 1" from crust comes out clean, 35 to 40 minutes. Cool completely before slicing. Serve with whipped cream.